Official GBULLION Blog: GBULLION monthly fee goes down! 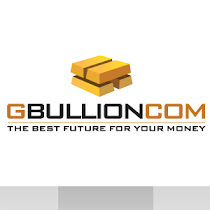 GBULLION monthly fee goes down! Last week was rather turbulent for the gold price. The deflation worries and the lack of aggressive Federal Reserve stimulus is believed to have caused the weekly drop of 3.7 percent. Market watchers are now very attentive to the events in Europe and are wondering whether gold will hole the lower-end of recent trading ranges. This level is equal to 1 520 USD an ounce, which is the low area from May. Traditionally let us refer to the opinion of the Kitco News Gold Survey participants. This week out of 33 participants 28 replied: 12 believe that the price will go up, 9 stick to the opinion that it will continue to go down, while 7 preferred to remain neutral. To support the bullish attitude we are cutting down the monthly fee of 25 USD! From July the first, it will go all the way down to ONLY 5 USD per month. Great deal for those who were still doubtful. Have a great week and don’t miss the chance to buy some gold, while the price is low!